Ballet San Antonio has a special treat for San Antonio audiences. 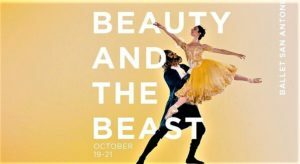 This weekend, the company is launching its 2018-19 season with a brand- new production of “Beauty and the Beast,” a full-length ballet choreographed by prominent guest choreographer Bruce Wells. Performances take place Friday through Sunday at the Tobin Center for the Performing Arts. Though the story of “Beauty and the Beast” is at least three centuries old, the version most Americans know and love comes form in the Disney animated musical film released in 1991. It features a kind and beautiful bookish maiden named Belle, a castle in the woods where the Beast resides with his servants, and, of course, the Beast, who is really a handsome prince trapped inside the ugly, angry Beast. An enchantress with magical powers turned him into this grotesque creature to punish him for being mean and arrogant. The only way he can break the spell is by learning to genuinely love someone and earn her love in return. 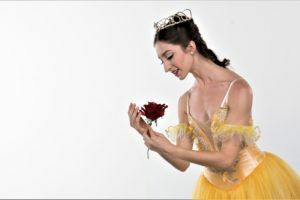 The BSA ballet also offers an original “world premiere” prequel to the story that presents the background of the characters to make it easier for children to follow the action. Referred to as Act I by the choreographer, the prequel introduces Belle’s and the Prince’s parents and lets the audience see how the two grew up. It also explains how the Prince got turned into the Beast and how Belle ends up staying at the castle where their love eventually blossoms. To make things more complicated, however, there is also Gaston, the village tough-guy who thinks Belle should be his. “Beast needs someone with a pure heart to fall in love with him and she is definitely that person. And he, in return, can offer her the world,” said Wells who has staged “Beauty” before but in a shorter format. “At the end, there is a big confrontation between Beast and Gaston and Gaston shoots Beast. That’s when Belle runs to him to declare her love and he is transformed back into a handsome prince. The cast of 45 dancers, including children from area baller schools, is headed by BSA principal Sally Turkel as Belle and soloist Mayim Stiller as the Prince/Beast. Wells praised both protagonists, referring to Turkel as “a true prima ballerina” who “was meant to dance this role,” and expressing appreciation for Stiller’s ideal physique for his role (tall and imposing). Most of the grand dancing happens in the castle where a series of divertissements, solos and pas de deux tell the story of a growing friendship and budding love. “I very much enjoyed working with Ballet San Antonio dancers; they gave me 110% every day. It has been one of the loveliest experiences I have ever had,” said Wells. The creator of some 50 ballets, Wells is well known in national and international ballet circles. He started his career at the New York City Ballet during George Balanchine’s reign, eventually transitioning from dancing to choreography and teaching. Today, his ballets are in the repertoire of many companies, including Pittsburgh Ballet Theater, the Atlanta Ballet, Boston Ballet, Australian Ballet, Dance Theater of Harlem, Pacific Northwest Ballet and others. In addition to choreography, Wells often creates his own scores by editing and combining parts of existing compositions of various composers, a labor-intensive and challenging endeavor. For “Beauty” he achieved what he needed by integrating elements of Leo Delibes’ scores that the French composer originally wrote for the ballets “La Source” and “Sylvia.” And he had a hand in designing the costumes as well when he worked on the same story for the Atlanta Ballet. (BSA has borrowed both the sets and costumes from Atlanta.) As a choreographer, Wells also likes to have the dancers themselves move the scenery around as they gracefully navigate across the stage which helps smooth out transitions and keep the narrative going. Still, vocal narration will also be included. For times and ticket prices go to tickets@tobincenter.org or call 210-223-8624. 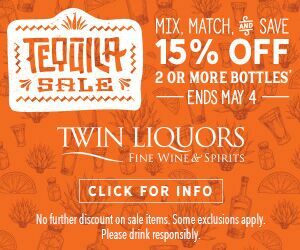 You can receive 30% off if you purchase a “family 4-pack” for this or any other show of the current season.